Our Port of Los Angeles, TraPac Terminal Berth project was featured in the April 18' edition of Electrical Contractor Magazine. You can read the feature here. 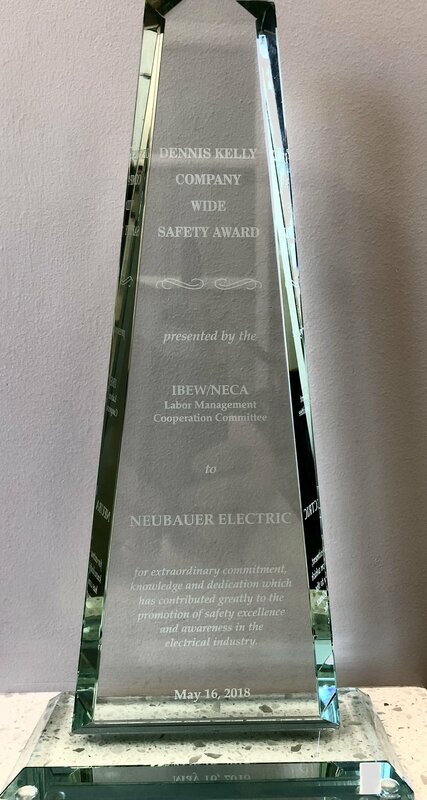 Neubauer Electric has been awarded the Dennis Kelly Safety Award for 2018 by IBEW/LA & NECA/LMCC. The award is recognized for company wide safety with Neubauer Electric completing over 80,000 man hours with no recorded injuries or lost work days in 2017. We are honored to receive the award and recognize that safety is always the first step on every project. 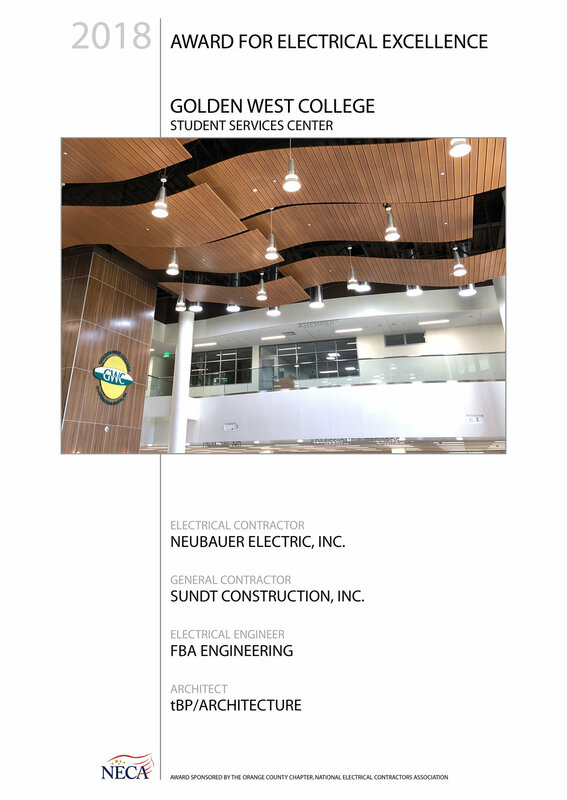 We also were recognized for our Maywood Center for Enriched Studies, the project was completed at the end of 2017 and was led by our General Foreman Ron Wurtz.